Located in Purton and built by reputable house builders Neon Homes is this family FOUR BEDROOM DETATCHED property with EN SUITE. 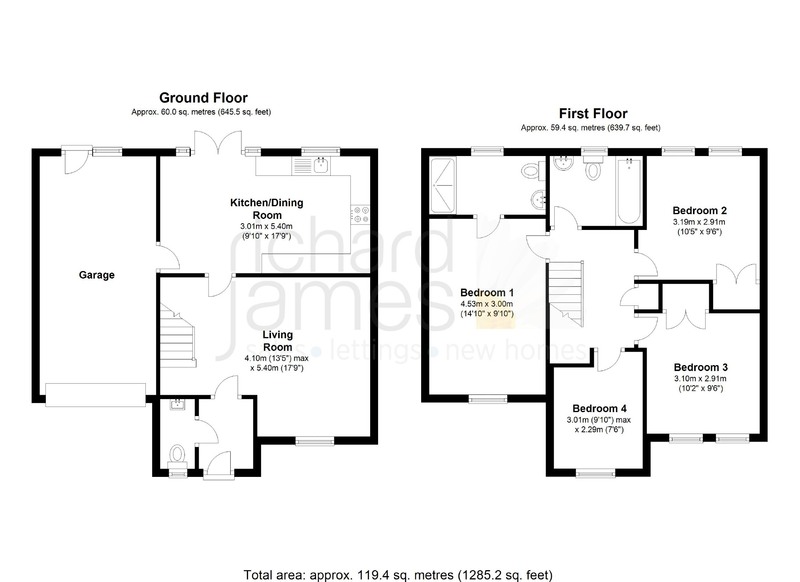 The property comprises ENTRANCE HALL, WC, living room and OPEN PLAN kitchen/dining room with access to the integral GARAGE. The first floor offers master bedroom with EN-SUITE, two further bedrooms both with fitted wardrobes, fourth bedroom and family bathroom. Outside are enclosed gardens and to the front of the property GARAGE and DRIVEWAY PARKING. N.b This property has been virtually furnished.